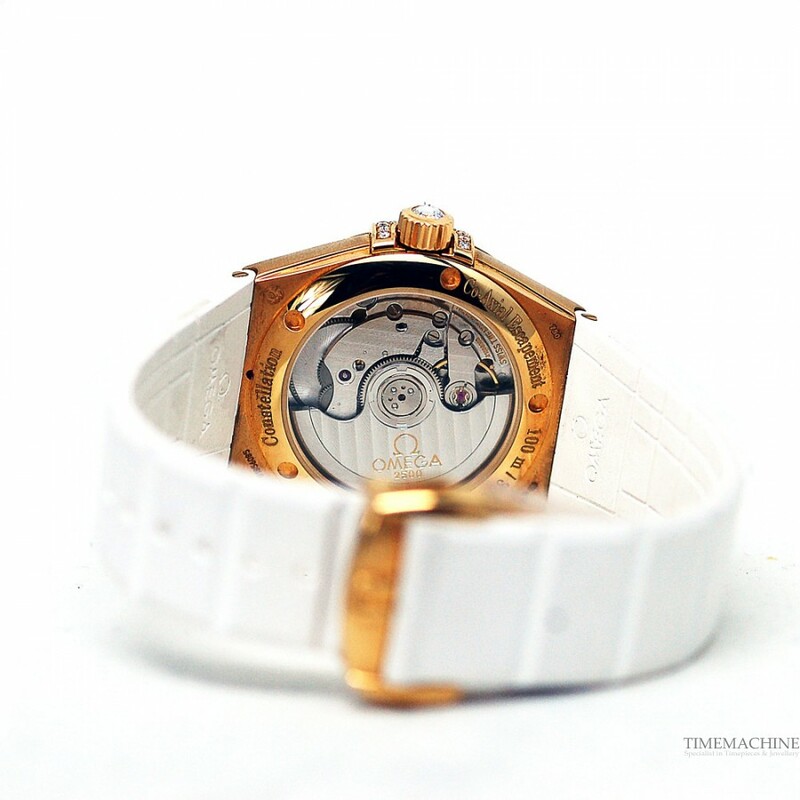 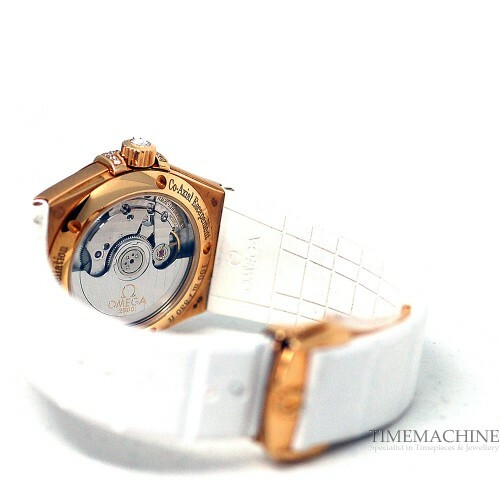 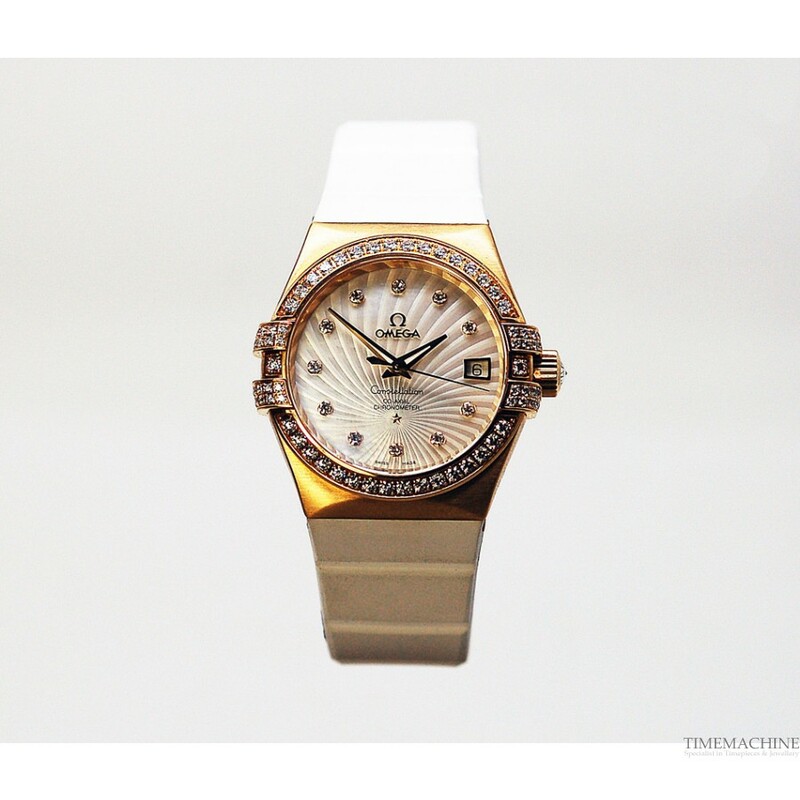 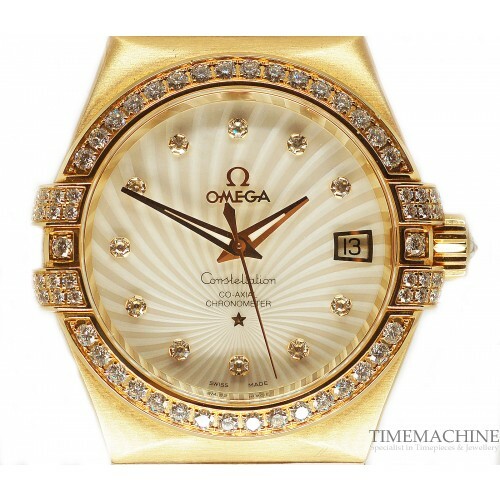 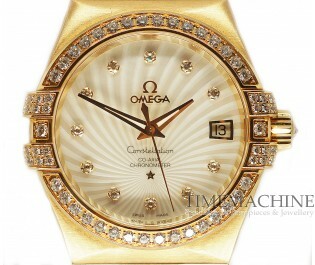 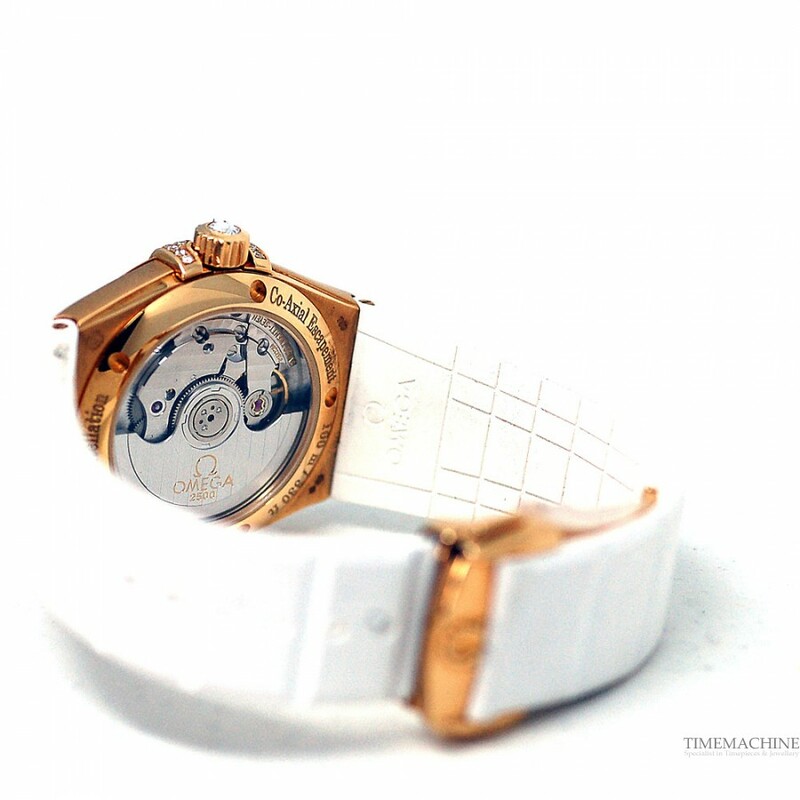 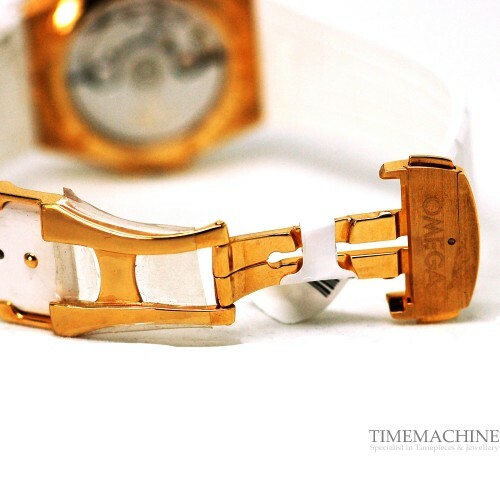 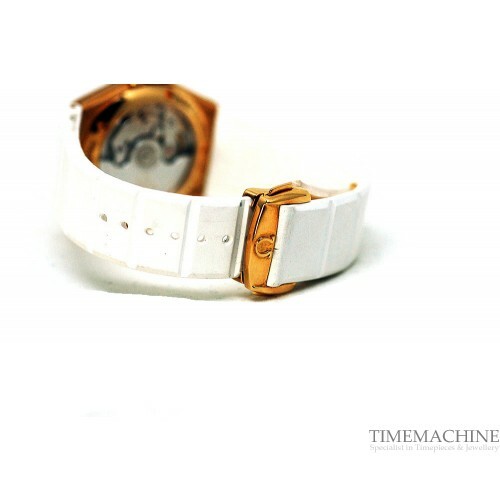 Unworn, Omega Constellation Co-Axial ladies 37mm rose gold case with mother pearl dial with diamonds, date indication at 3 o' clock, white rubber strap with rose gold deployment, sapphire crystal glass, see-through case back. 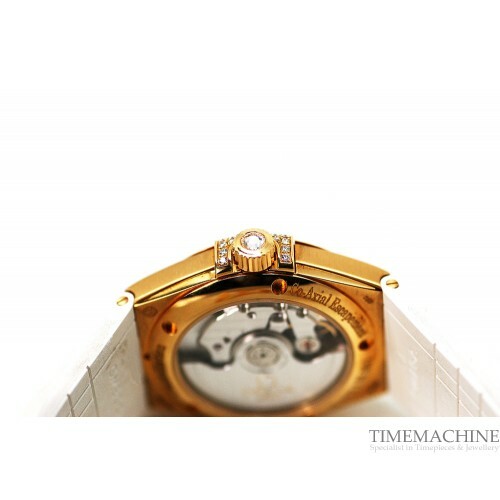 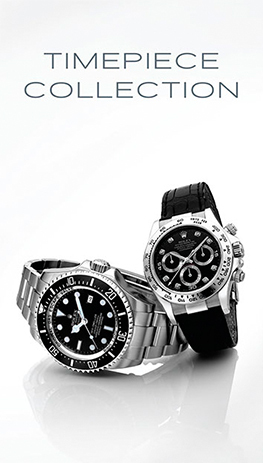 Complete Set of original box and original papers including 12-month mechanical warranty. Please Quote 3021 in all communications with us regarding this Timepiece.